One cannot be too prepared. Proper prior preparation prevents piss poor performance. I’m officially prepared for my club’s upcoming 4th of July tournament with my new Royal and Awesome American flag golf shorts. Just look at these beauties. 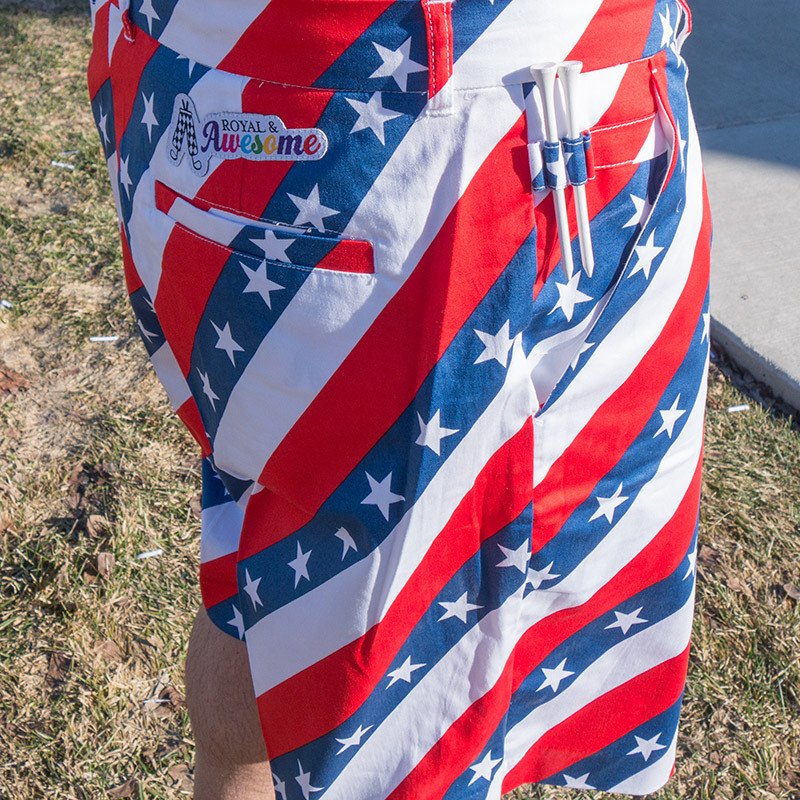 These shorts feature a great graphic pattern, the flag of the greatest country in the world. Sorry England. Another neat feature is an included divot tool and a place on the side of the pants to put some golf tees (pictured).